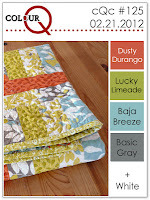 This is my card for the latest colourQ Challenge. I used a couple of goodies for the first time. My PTI cane print impression plate... love it, and one of the flowers from the Sizzix/Hero Arts stamp & die-cut set, Garden Flowers. WOW, this is awesome! Great use of the colors, Tracy, I love it! Thanks so much for joining us this week at the colourQ! Gorgeous use of the colors....love the gray behind the flower, it really makes it pop! Tracy, this is such a gorgeous card. Love your take on the challenge. Lovely card, Tracy. love that faux stitching behind you lovely flower! Thanks for joining us this week at the ColourQ. You did a beautiful job with this CQ . 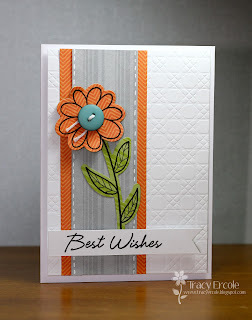 I love the CAS look to your card and the dry embossing with the single beautiful flower. Love this look! Very striking card, love the cane embossed background. 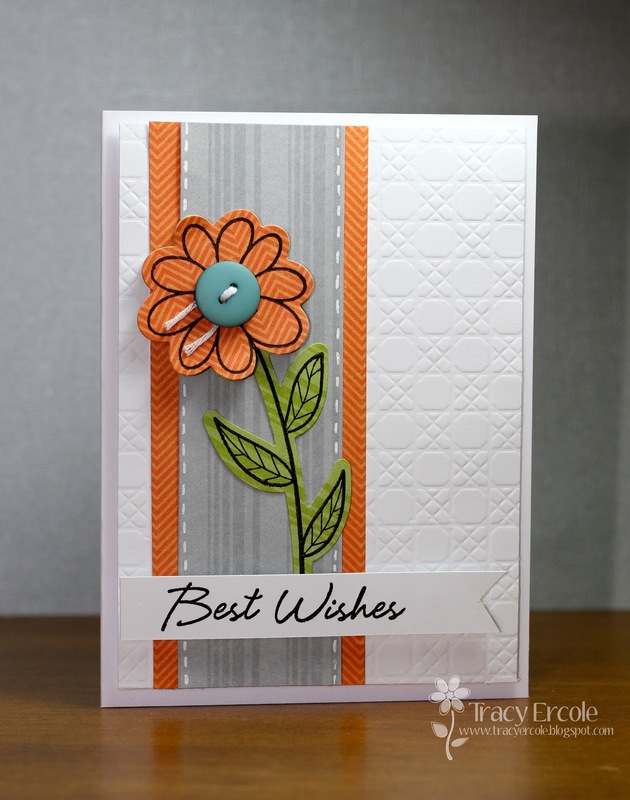 LOVE this Tracy, the texture and simplicity of it are marvelous! Absolutely beautiful, Tracy! I love the cane print impression on white, and your flower really stands out against the gray panel. Thanks for joining us this week at the ColourQ!